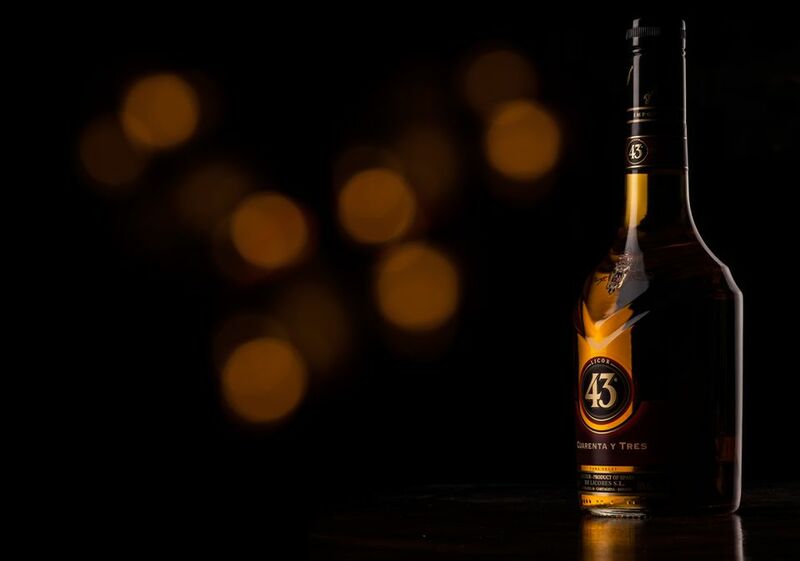 Licor 43, or Cuarenta y Tres (43 in Spanish), is a sweet, vanilla-flavored liqueur that is produced in Spain by the Diego Zamora company. According to its producers, it is an ancient recipe, dating back to 200 B.C. The recipe was passed down from generation to generation until in 1924 when it was purchased by Diego Zamora, along with a distillery in Cartagena, Murcia, Spain. Since then it has become a popular drink in Spain. Licor 43 is made from 43 different ingredients, including vanilla, citrus, and other fruits, as well as aromatic herbs and spices, but the recipe and the exact ingredients remain a secret. It is 31 percent alcohol by volume and is a light bodied, sweet liqueur. It is yellow-gold in color. The aroma is pleasant, warm, complex, with vanilla as the predominant scent. You can detect a tangy, sweet, fruity, spicy, rum-like aroma and when you taste it, and it tastes like its sachet with hints of citrus with an aged-rum feel. According to the company’s website, the liqueur is exported to more than 60 countries around the world and can be used to make a variety of cocktails. It is served on ice as an after-dinner drink, mixed with coffee, colas, and other carbonated beverages, and incorporated into elaborate cocktails and dessert recipes. In Mexico, carajillo is a drink mixing espresso coffee with Licor 43 and ice. In the Canary Islands off the coast of Spain, Licor 43 is an essential ingredient for a baraquito. It is an alcoholic variant of the highly popular cortado condensada, which is a shot of coffee with condensed milk, hot milk, Licor 43, and a dash of cinnamon. Although it is a liqueur and is most easily added as an ingredient to cocktails, it can be a nice added layer to food recipes, too—both sweet and savory. Cuba Libre With Licor 43 Recipe: Rum and cola drink made with Licor 43. Chocolate and Almond Cake Recipe: Ground almonds and shaved chocolate are mixed with Licor 43-soaked ladyfingers, and then baked. Fig Jam Recipe: Licor 43 provides the citrus notes for this easy fig jam recipe. Challah French Toast Recipe: Just a few tablespoons of Licor 43 elevates French toast to a gift from the gods. Grilled Pork Chops Recipe: Apples, pork chops, and Licor 43 are a match made in heaven. Thanks to its vanilla flavoring, Licor 43 makes for a great drizzle. Pour it on ice cream, in coffee, or top your favorite pudding or flan, if you have it. Ice Cream 43: Pour 1 ounce of Licor 43 over a scoop of vanilla ice cream. Coffee 43: Add 1 ounce of Licor 43 to a shot of espresso or a ​cafe con leche (cafe au lait or a latte). Flan 43: Drizzle a bit of Licor 43 over a cup of classic Spanish flan, or rich vanilla custard.